Bentley is often associated with ultra-premium luxury as its cars have always taken the notch higher. And now the British car manufacturer wants to make a 'cleaner' statement. 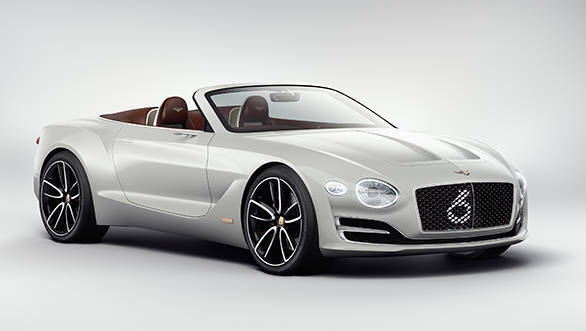 Bentley has brought in the EXP12 Speed 6e concept at the 2017 Geneva Motor Show. The EXP12 Speed 6e concept is the first electric car that Bentley has ever come up with and that is what makes it special. With the help of this electric concept, Bentley wants to gauge the customer feedback if they are willing to spend for a luxurious electric car from the brand. This electric concept will the second eco-friendly offering from the company as the first to arrive will be the Bentayga plug-in hybrid. The Bentley SUV will use the same powertrain that will be introduced in the Lamborghini Urus SUV. 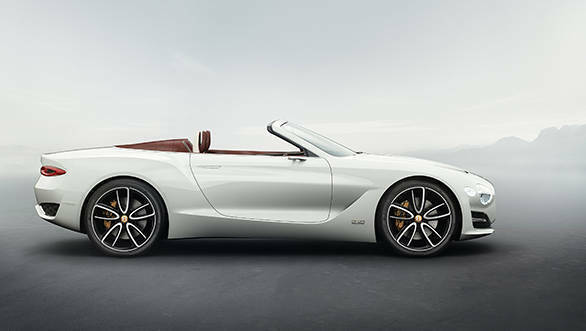 Coming back to the electric roadster, if Bentley has its way, the production version of the EXP12 Speed 6e should be out by 2021. The EXP12 Speed 6e is indeed a Bentley and that can be seen with the high-quality leather and copper bits used in the interior. It gets a large OLED infotainment display that shows the different car controls to play with. 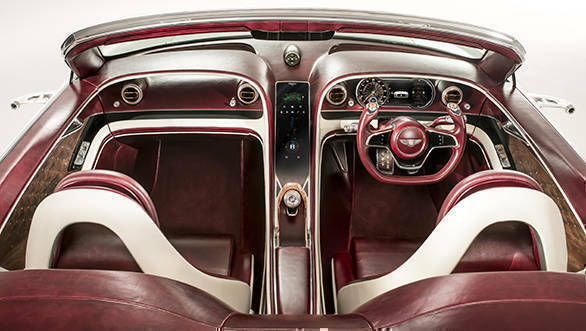 A conventional-looking round steering wheel is too mainstream for a Bentley, and therefore the EXP12 Speed 6e gets a half-cut steering wheel with glass elements. This design of the steering wheel looks similar to that used in smaller aircraft. Bentley states that the cut sections feature controls a performance boost and one for a speed limiter for use in urban areas. The copper bits, which are seen in the interior, can be found on the exterior design too. The radiator grille comes with a large "6: logo that illuminates when the car is in motion. The grille design is similar to that seen on the upcoming Continental GT which has been doing testing for sometime now. Bentley has not revealed any technical information of the EXP12 Speed 6e concept but has only stated that it will be able to drive between London and Paris or Milan and Monaco on a single charge. That mean the claimed range of the Bentley EXP12 Speed 6e concept should be around 300km. 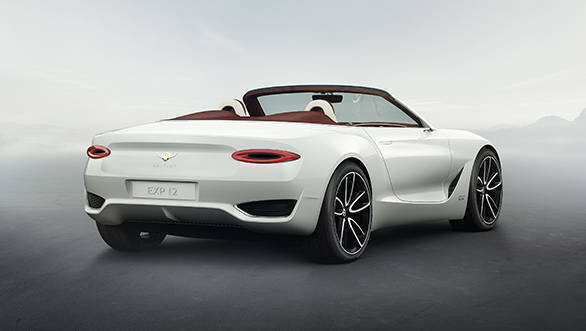 The EXP12 Speed 6e will use rapid inductive wireless charging and when that is not available, it can be connected to a main AC power supply via an auxiliary charging point, concealed behind the rear number plate.